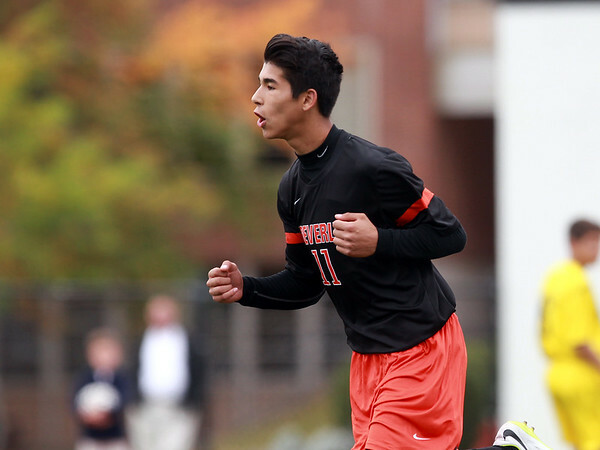 Beverly junior striker John Pittamiglio (11) celebrates his first half goal against Bishop Fenwick on Monday afternoon. DAVID LE/Staff photo. 10/13/14.